Where has the sun gone?! It's back to being all rainy and miserable. I'm flying to Berlin tomorrow and the weather isn't looking much better there either! 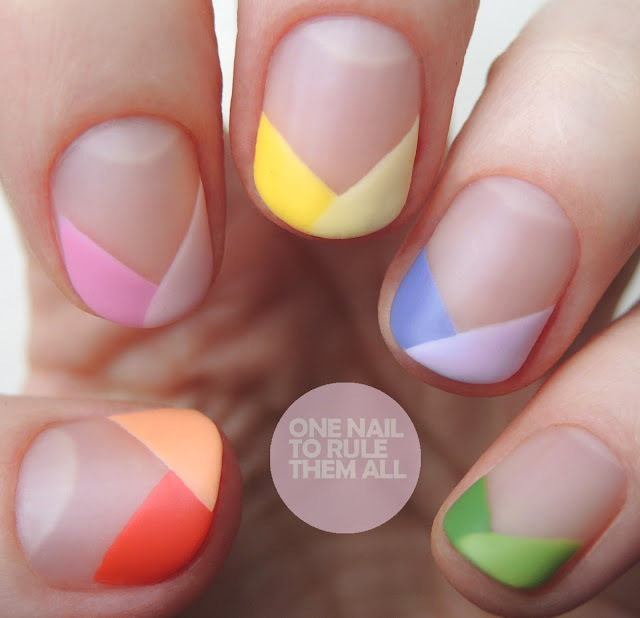 Anyway, enough weather chat, these nails are enough to brighten things up after all. 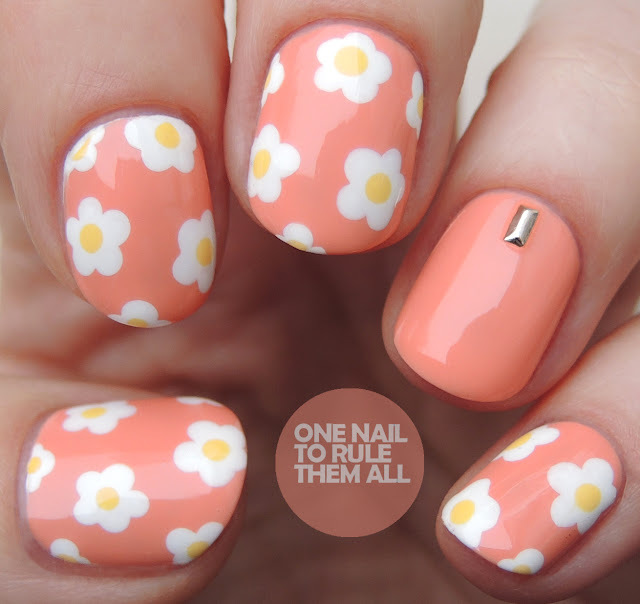 I did these as a quick mani when I was struggling for ideas, and I wasn't 100% because they make me think of fried eggs a bit, but I like them enough to not hide them away in my deleted folder forever so I'll let you decide: eggs or flowers? Hey everyone! Sorry for the recent radio silence, I’ve had A LOT going on, I don’t want to tell you anything just yet because I don’t want to jinx it (it’s not blogging related so I’m not doing the whole “oh I can’t tell you yet because it’s a secret” thing don’t worry!) but once it’s finalised I will probably not shut up about it. So enjoy the silence while it lasts! Today’s nails were inspired by someone I think... which is probably the vaguest thing I’ve ever said on here but I won’t lie - I painted these almost a year ago and I have no recollection of what made me do them! This blogpost is full of vague and unhelpful statements I’m sorry! Do you ever just see a design on Instagram/Pinterest (or wherever) and instantly know that you have to recreate it? Because that's what happened to me with these nails. I saw these nails by Mikutsutaya and instantly fell in love. Mine are nowhere near as elegant as hers, but I still love how they turned out.